It turned out so pretty, admittedly I couldn't stop staring at it. But the flavors, too, were absolutely delectable. 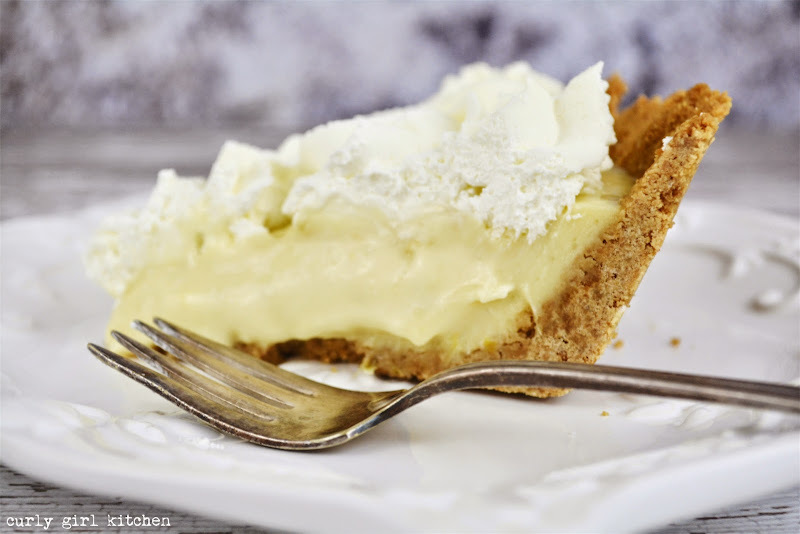 To start, the graham cracker crust is buttery and salty. Graham crackers are already inherently sweet, so I don't add sugar to my graham crusts, only butter and salt. It's delightfully salted. Then, the filling. 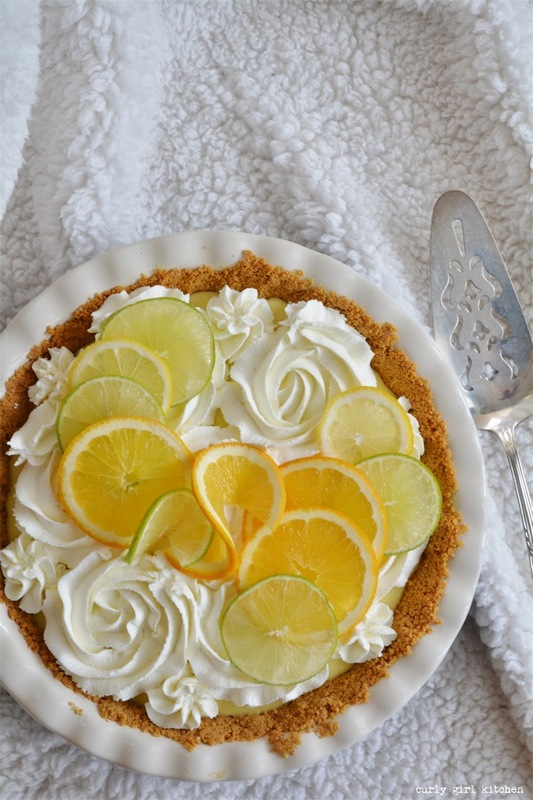 I started by cooking essentially a citrus curd with egg yolks and sugar, freshly squeezed orange, lemon and lime juices, and a good amount of zest. A little corn starch to thicken it up. After cooking the citrus curd, cold butter is whisked in while the curd is warm, each piece of butter disappearing in the pale yellow cream. And then sour cream is added, which adds such a wonderful tangyness to complement the sweet, tart curd. 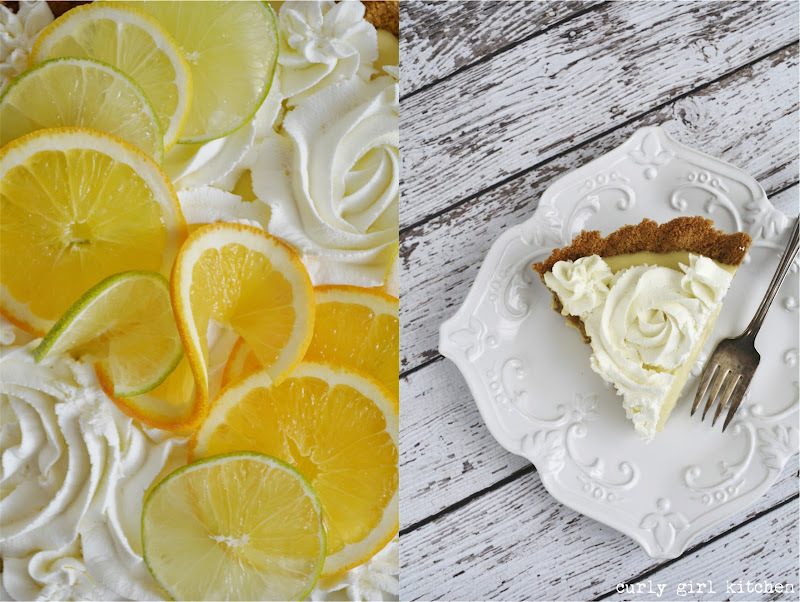 When the pie is set, it's topped with barely sweetened freshly whipped cream. 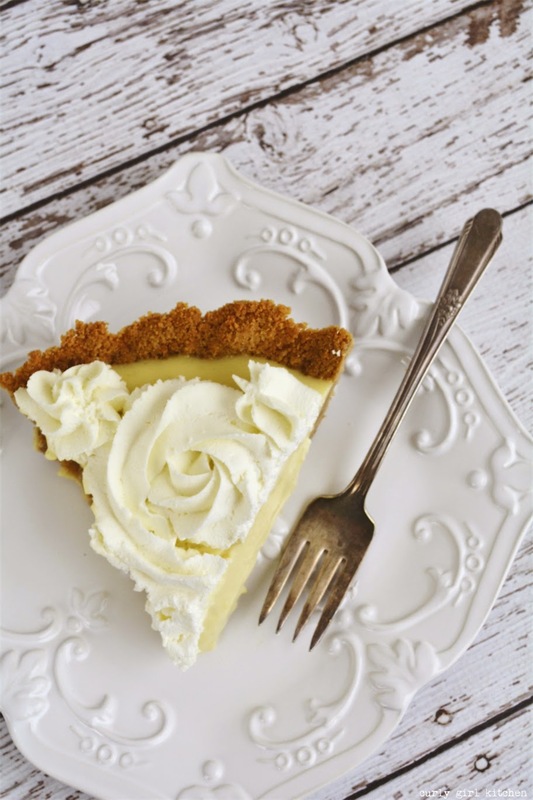 I whipped the cream very thick and piped it into swirls - softly whipped cream won't do you any favors on a pie unless you're planning to serve the entire pie immediately, but you'll find that too-softly whipped cream on leftover pie deflates. So whip it well. 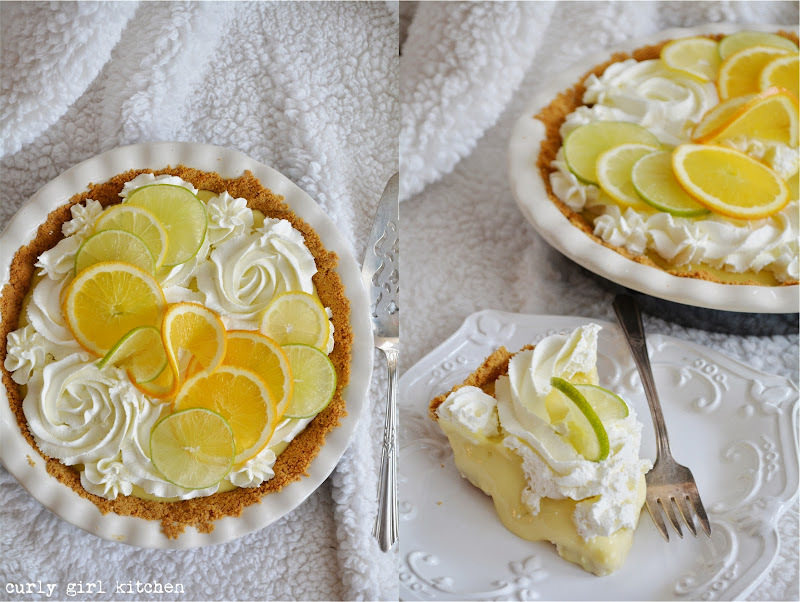 Transluscent slices of oranges, lemons and limes garnish the pie so beautifully and simply. 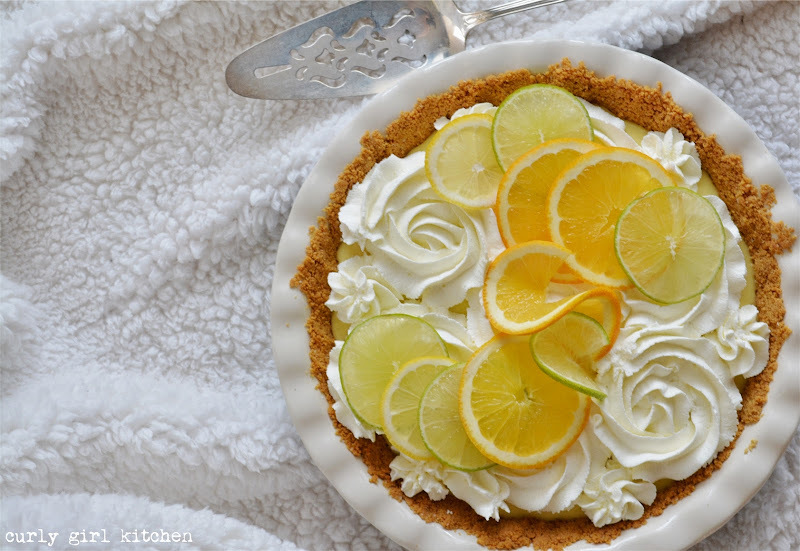 The first piece, never the most perfectly cut piece of any pie, came out a little carelessly, the soft citrus cream spilling over the edges of the crust, reminding me that I had been too impatient to wait for the pie to set fully when I should have waited a few more hours at least. 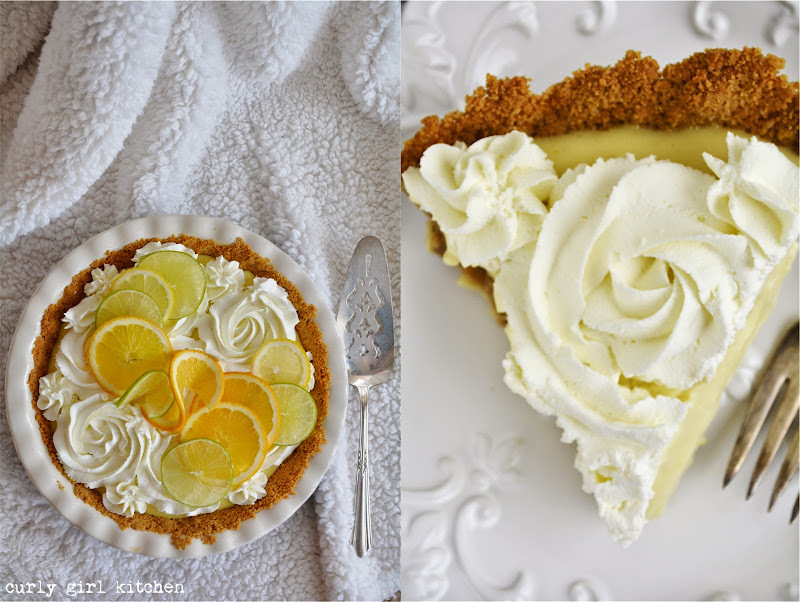 So be patient, unless you don't mind eating the pie with a spoon. And really, there's nothing wrong with that. Preheat the oven to 325. In a pie pan, combine the graham crackers and salt, then drizzle with the melted butter and toss with a fork until moistened. Press the crumbs firmly against the bottom and up the sides of the pan. Bake for 10 minutes, then set aside to cool. In a bowl, whisk together the egg yolks, sugar and corn starch until smooth and lightened in color, about 2 minutes. 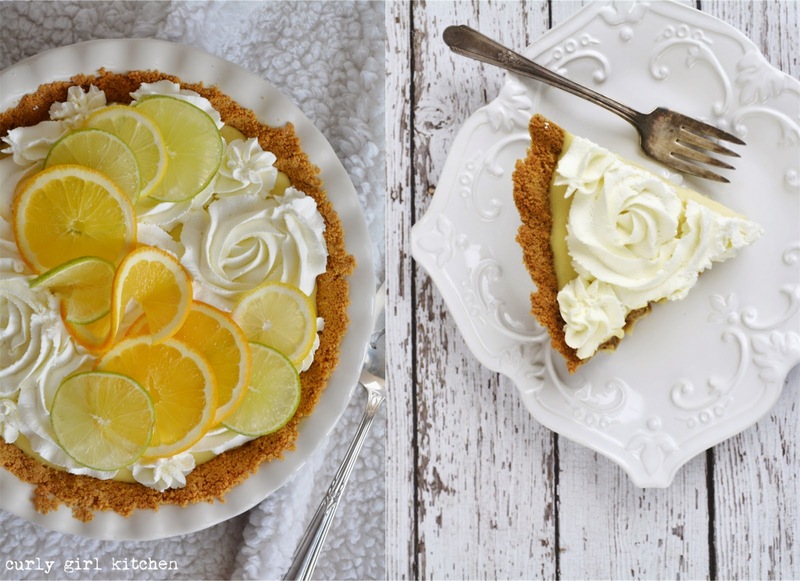 Whisk in the citrus fruit juices, zest and vanilla. Pour into a saucepan. Cook over medium heat, stirring constantly with a whisk for about 7-10 minutes, until the mixture bubbles and thickens into the consistency of warm pudding; boil for 1 minute, continue to whisk until very thick. Remove from the heat and whisk in the cold butter, one piece at a time, until melted and smooth. Cover with plastic wrap and refrigerate for two hours, then whisk in the sour cream. Spread the filling into the cooled graham cracker crust. Cover and chill for at least 4-6 hours, or preferably overnight, until set. 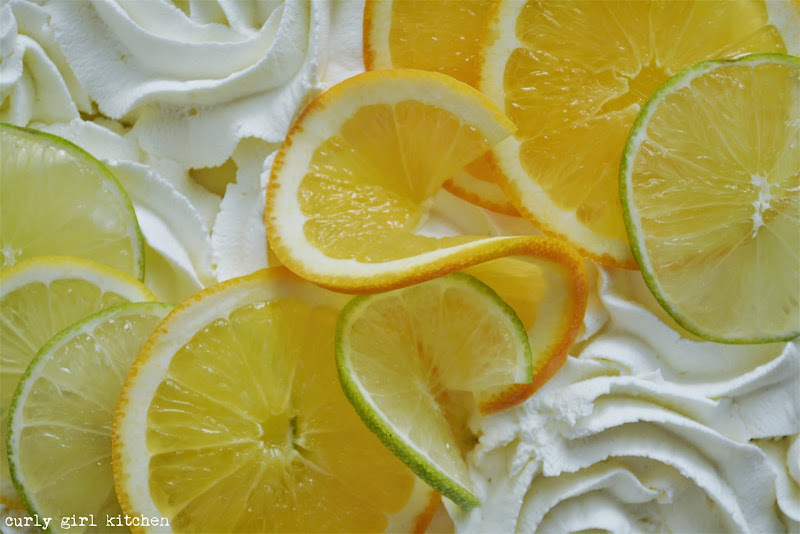 Whip the heavy cream and powdered sugar with an electric mixer until thick; spread or pipe over the filling and garnish with the citrus fruit slices.